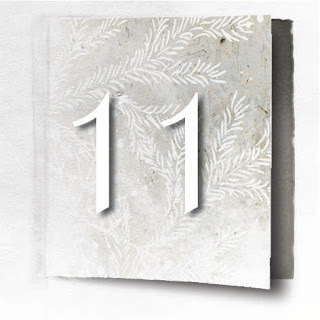 Sirpaliinan Magnolia kortit: Day 11 Magnolia Advent! Leave a comment and maybe you will get a gift!! Jätä kommentti ja voit saada lahjan! Kannattaa käydä joka päivä katsomassa kaikki kalenterin luukut ja kommentoida. You coloured Tilda so beautifully and love the leaping deer on the card too, so cute! I like this stamp too and I think you made a wonderful card with it. Looks great! Very beautiful colouring. Your colour combo is also fantastic. 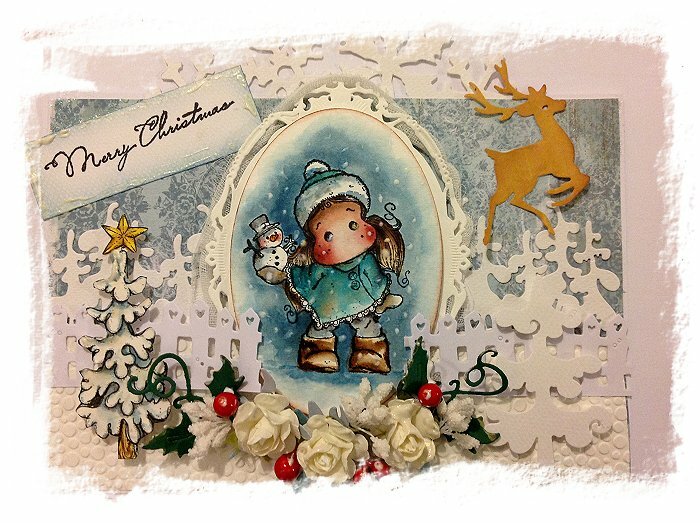 Beautiful christmas card with great coloring and love the scene you created. WOW such a lovely card you have made. I love it. I wish I could make one like this. I really love this Tilda stamp. She is so cute. Have a wonderful day and Merry Christmas. How beautiful this is. Your painting of Tilda is lovely. Merry Christmas to you and yours! 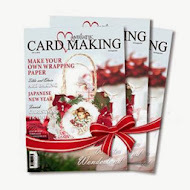 Your card is beautiful and your coloring simply amazing...!!! Tilda with Little Snowy card,.. wow absolutely stunning. 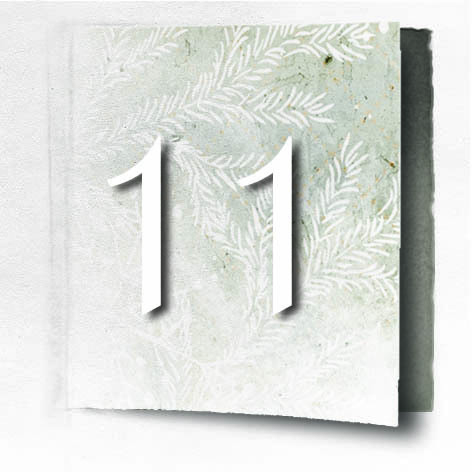 christmas always giving me a magic feeling and your card too! What a wonderful card here today again. Amazing coloring in such beautiful colors. Christmas is coming ! merry christmas. I love your card, beautifuly made. Lovely coloring and gave warm feeling although it's snowing. great inspiration. mixed together with your tilda's and snowman it's really a wonderful project !! I like how the embellishments frame Tilda in your card and add dimension. I really enjoyed seeing your card today. Thank you and Merry Christmas. I love Tilda with little Snowy! Your card is beautiful, I like all the details. Beautiful Winter scene!!.. I love your colouring!! FAB Colouring on the background too.. Looks very much from up North.. with the dark blue colour.. The blue hour i guess.. Fantastic time of the year!.. Great painting of the snow too.. and I love the shine in the boots.. Great Die-cuts and Perfect put together for a winter scene!! Wish you a great time before Christmas! 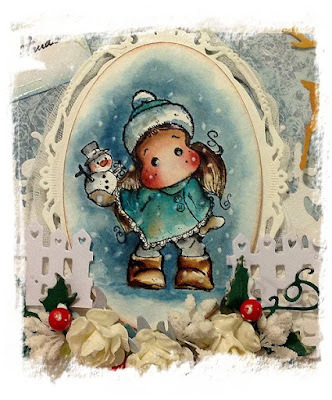 I love this stamp too with little Snowy and wearing a poncho. The card is so cute and I love how you coloured it. Such a sweet card <3 Thank you so much for your inspiration. Such a pretty card! 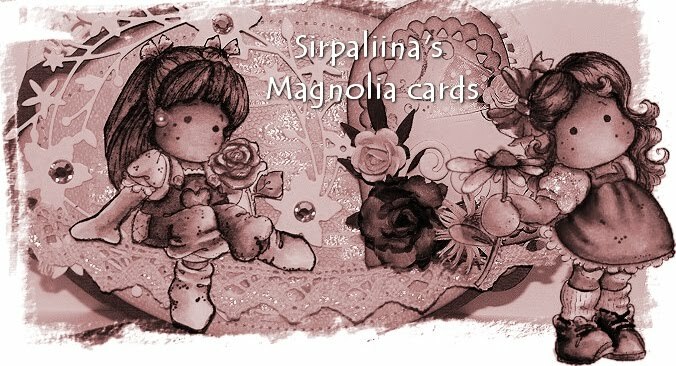 My wish for a Magnolia stamp came true just a few months ago hehe I can't wait to use it. It is a beautiful project! Charming Tilda - from Christmas collection I like the most! Super cute!! Love the colors!